What Could These Mysterious Toyobaru Patents Mean? The Toyobaru! I love it and so do you, but we're all pining for a version with more power in addition to that delectable handling. Now some mysterious patent drawings have cropped up that make us wonder if something special is in the cards. Our tipster recently discovered two patents published fairly recently on Google's patent database that show drawings for "motor vehicle(s) and/or toy replica(s) thereof" that appear to have been filed by Toyota/Subaru. The next one is a bit trickier to pin down. It's clearly a Toyobaru body but with more boxed-out fender flares, more stylized headlights and taillights, and a roof spoiler. 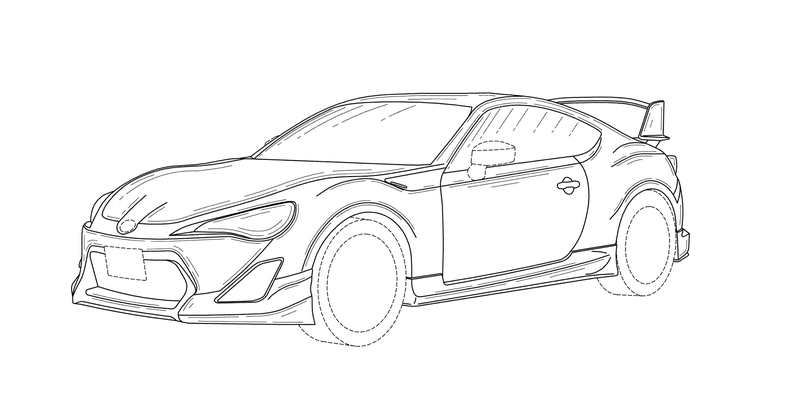 It looks an awful lot like the FT-86 Concept II from way back in 2011 before the production car went on sale. Remember that? Of course, all of these could be for some neat new diecast toys. They could also be for some kind of special new Toyobaru, perhaps the one with 300 turbocharged horsepower we have all been dreaming about sliding into a wall. Hat tip to Alex McGee on Twitter!